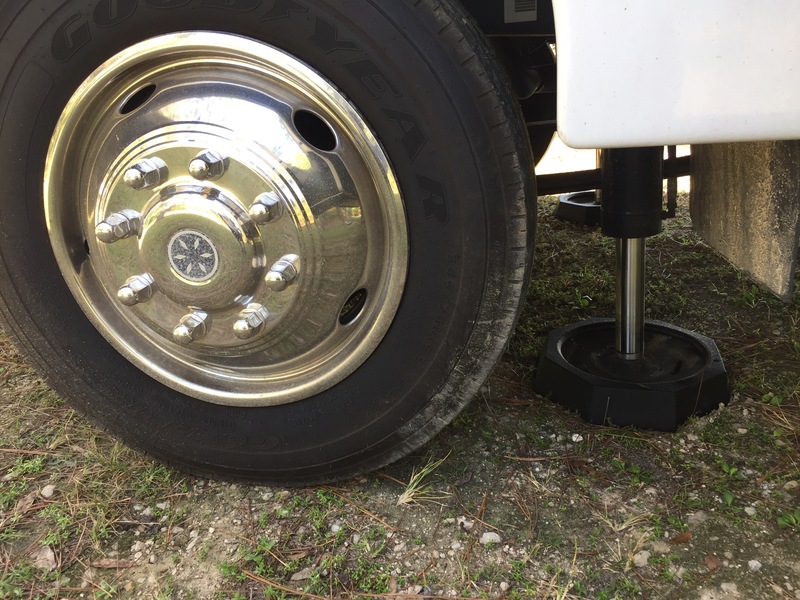 REVIEW: When I got my “New-2-Me-RVJedeye Mobile” it came with something I wasn’t really familiar with, RV Leveling Jacks. Coming from a Class C over to a Class A, this was all new to me. 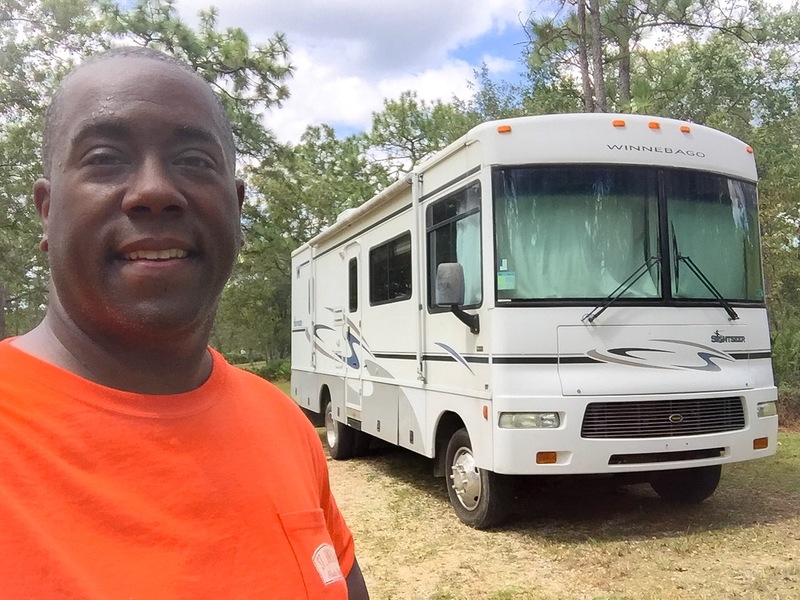 One of the things I learned quickly is that stability is one of the keys to a great stay for RV’s. So when I saw this product, I was excited to see what it could do. 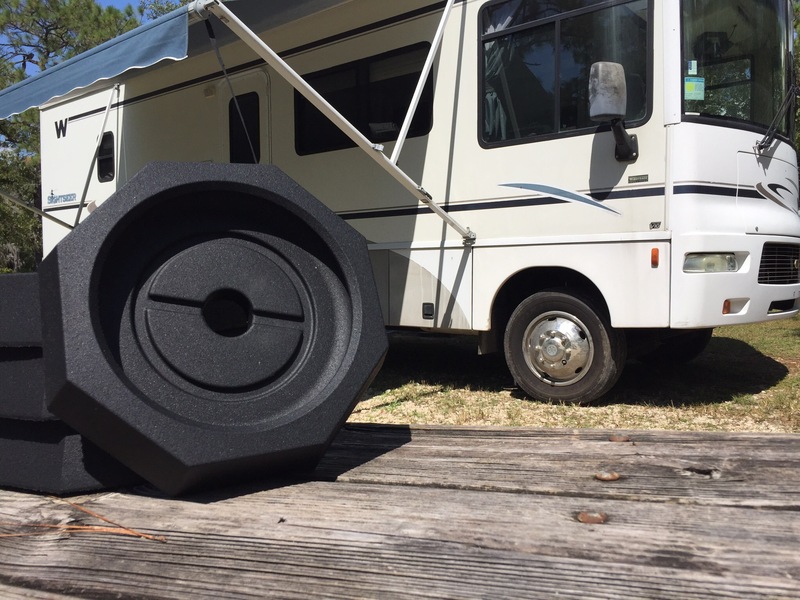 Origen RV Accessories LTD makes “RV SnapPads.” They are made from recycled American tires, which is always good for the environment. They are sturdy…8.3 pounds per pad and they were fairly easy to get on the rig. You notice the difference immediately. On gravel or paved spots, these “RV SnapPads” are going to help secure my rig and help balance it out. Once you snap them in place, you don’t have to worry about them. Set it and forget it. And if you order here, using the direct links, (promo code, “RVJedeye”) you’ll receive a 10% discount. A good upgrade to the RV and I would recommend picking up a set! we put those pads on our 5th wheel over a year ago, really like them. but one issue we had down in AZ last winter is we lost the pad and the bottom plate on road between Tucson and Organ Pipe NM. The bolt came loose that holds the plate on the jack. I ordered a new plate online and when I went to order another pad they said it was under warranty and sent me one free!. I checked rest of my bolts and some were starting to loosen up. I recommend checking the bolts on your jacks if you have the kind that screw in from the bottom of the plate.